The ads announced that Johnson & Johnson had resumed the production of baby powder after a government test failed to find cancer-causing asbestos. 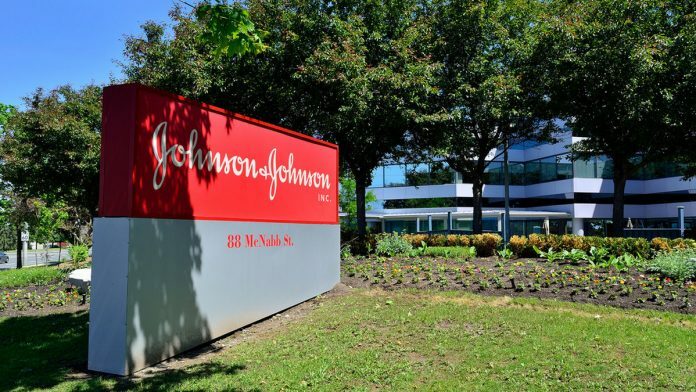 New Delhi: The Narendra Modi government issued a showcause notice to US pharmaceutical giant Johnson & Johnson late Tuesday after the latter put out newspaper ads announcing its baby powder had been cleared for sale by government laboratories. The company has been given a week to respond. Johnson & Johnson’s famous baby powder had been under the scanner since a December 2018 Reuters investigation that claimed “the company knew for decades that cancer-causing asbestos lurked in the product”. The same month, the Drug Controller General of India ordered the company to halt the manufacture of the baby powder at its Mumbai and Himachal Pradesh plants until the government could test the raw material for safety. According to the government, the ad amounts to a violation of Section 29 of the Drugs and Cosmetics Act, 1940, which prohibits advertisements on the basis of tests conducted by government analysts. “Whoever uses any report of a test or analysis made by the Central Drugs Laboratory or by a government analyst, or any extract from such report, for the purpose of advertising any drug or cosmetic, shall be punishable with fine which may extend to five thousand rupees,” reads the section. ThePrint tried to reach the Johnson & Johnson spokesperson for comment through text and email but there was no response till the time of publishing this report. However, speaking to ThePrint, a senior official of the company disputed the government’s argument, saying the company didn’t violate Section 29 because the ad in question did not cite “anything specific from the report”. “It [the ad] only says that the talc is asbestos-free, which is the actual finding of the government report,” the official added. The letter to Johnson & Johnson, dated 5 March, was issued by the Central Drugs Standard Control Organisation (CDSCO), India’s apex pharmaceutical watchdog, and signed by Drug Controller General of India S. Eswara Reddy. It says the “publication of such advertisement has the potential to mislead the general public which is against the public interest”, while asking Johnson & Johnson why it shouldn’t be penalised under the Drugs and Cosmetics Act, 1940. “Your reply should reach to this office [sic] within a period of seven days from the date of the receipt of this showcause notice, failing which it will be presumed that you have nothing to say in the matter and appropriate action in accordance with law will be initiated against you,” the letter added. The government has also warned the company to “not… publish any such advertisement or any similar kind of advertisement till further orders”. The government’s showcause notice follows a huge public outcry over the Reuters investigation, which claimed Johnson & Johnson was aware that its talc powders contained cancer-causing asbestos but hid the information from regulators and the public. Apart from a lung disease that came to be known as asbestosis, asbestos has been linked to two cancers, mesothelioma, an often-fatal cancer of the pleura or the soft lining of tissues that surrounds organs, and ovarian. As reported by ThePrint earlier, Johnson & Johnson is also caught in a separate controversy in India for allegedly supplying faulty hip implants. In this case, it has been ordered to compensate patients who suffered injuries from the implants.